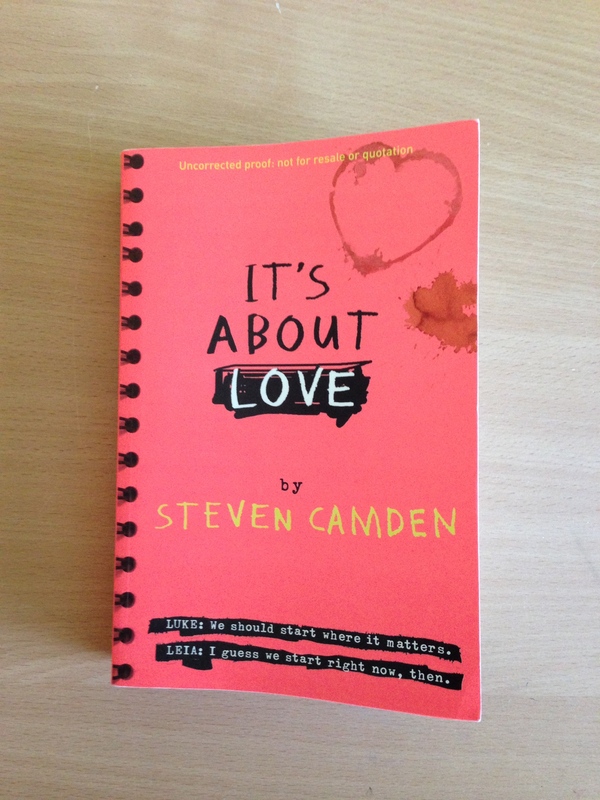 It’s About Love is the second novel from London base author Steven Camden. This novel follows the story of Luke, a teenager from the rough part of the city who goes to college at the other site. Here he meets Leia, a girl who’s in the same film studies course as him. It’s About Love follows the growth of their relationship. 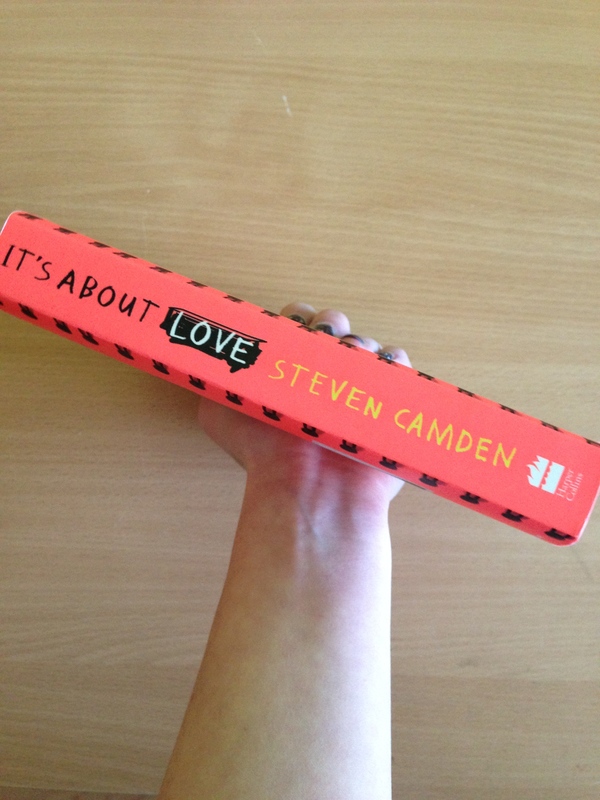 However, romantic love is not the only love that this novel is about. It’s about familial love and loyalty, both to family and friends. The novel is more than a romance, it hits at issues that are very topical and real. This novel far exceeded my expectations, as I had expected a simple romance plot. I was pleasantly surprised. I loved the characters of Luke and Leia, how they were so different and from different backgrounds, yet their common love of film partnered with their creativity and motivation brings them together. The plotline following Luke’s brother, Marc, is teased out throughout the novel, not giving the complete details of the story until near the end of the novel. I loved this, as it gave a sense of mystery and suspense. Overall, I really enjoyed this novel. I would recommend this novel to teen readers who enjoy deeply moving and honest novels. This entry was posted in Book Reviews and tagged Book Reviews, reviews, teen, young adult. Bookmark the permalink. Was there some sort of silly connection between Luke and Leia with Star Wars? There was! It was funny because they were both into films and they joked about that connection. It’s not too romance-y though, there’s a good bit of fighting, along with some really good scenes in their college about films and film-making. I would really recommend it! Oh really? Do you like stuff that’s got some fighting in it?